Get ready for the longest two seconds of your life!!! 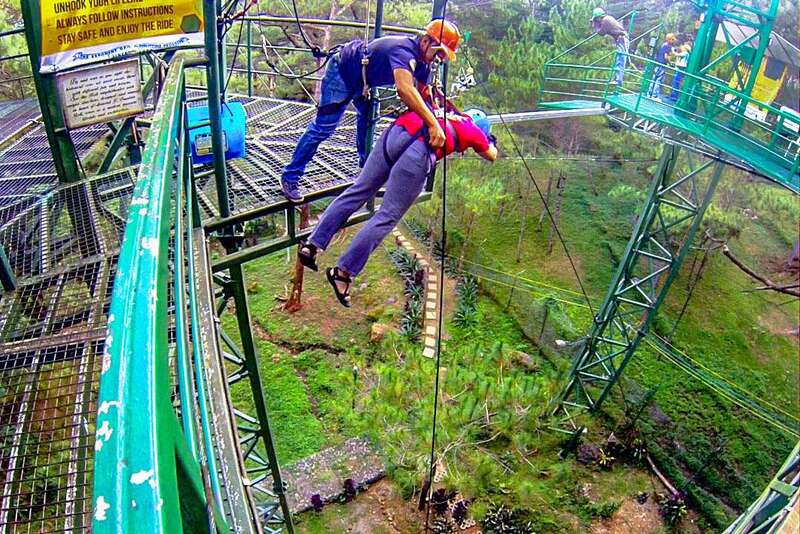 The Tree Drop activity of Tree Top Adventure Baguio’s the fastest activity they offer, but it’s also the most feared. 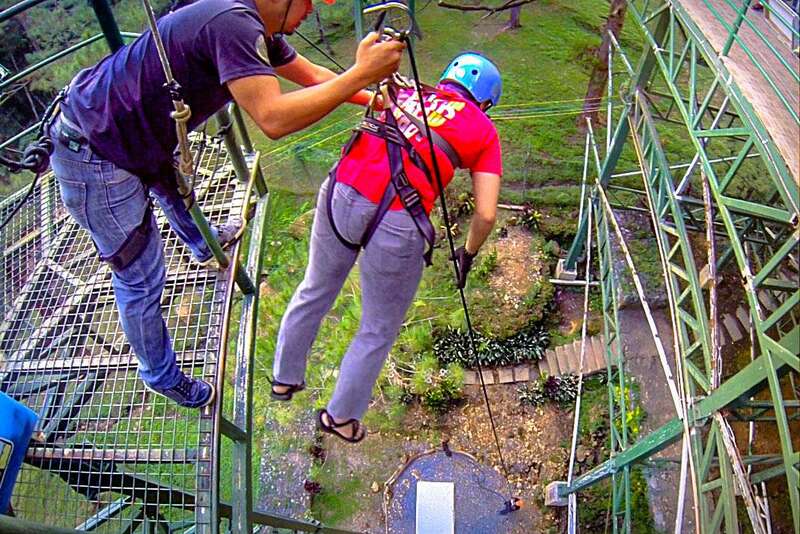 It’s a free fall adventure where you drop from a 60 feet high ledge. 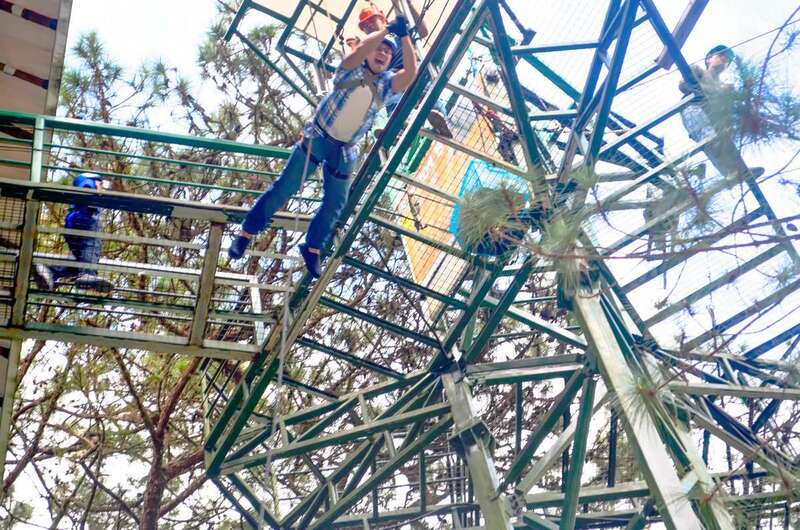 I’ve done the Tree Drop activity twice in Subic Tree Top Adventure, but it never fails to terrorize me. And yet, even when I haven’t conquered my fear of heights, I just do it afraid. 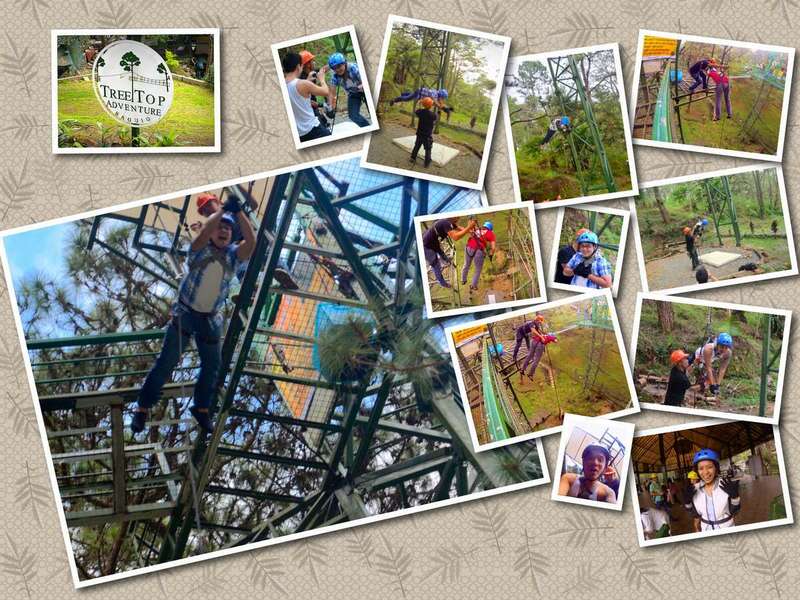 This was our first activity in Tree Top Adventure Baguio. The instructors said we’d have to get on with this before it rained. They seem to be good at predicting the weather because it did rain after 45 minutes. First, I was strapped with the harness. Then, I had to walk on top of metal grills where you can see how high up you are because you could see through the grills. This is when the cold sweat starts for me. I knew it was safe, I knew everything was secure, but every time I looked down I had to grab hold of something stable like the metal bars. At the edge of the ledge, the facilitator asked me to step off the platform. This part was nerve-racking. But I did it anyway. I found myself suspended. The other facilitator below was holding on to the rope to create tension so I wouldn’t fall without the signal. I was still holding on to the metal bar when I was asked to let go. I stopped thinking and just obeyed. I felt myself getting weaker by the second and wanted this over and done with. The facilitator beside me changed my position and instructed me to push the rope between my legs and get it out of the way. This was difficult because I kept looking down and being suspended in that position created a build up in my chest. I managed to push the rope using my legs. I heard a shout from the facilitator. I couldn’t remember what it was. Then suddenly… I fell! It was so quick I thought a part of me was left on top of the ledge. I gave a loud scream. I found comfort when I slowed down before hitting the mattress. The adrenaline pumped. I was carefully assisted until my feet were on the ground. It was over. But my heart was still pounding. This was an achievement for me. I wanted to do it again. The second time’s always easier. 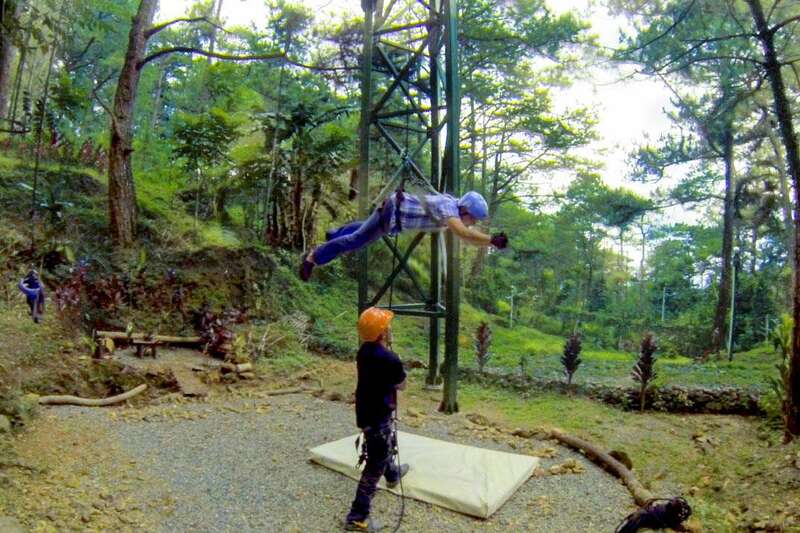 When I did my first Tree Drop in Subic, I wasn’t able to enjoy it because I was way too scared. So, I went for another round then. True enough, I had a blast during the second drop. But I couldn’t do it here in Baguio because it was about to rain and my friends and I still had to experience the other fun activities here. My friends and I agreed that if there’s one activity you shouldn’t miss here, it’s got to be the Tree Drop. If you choose to just do this, you’ll have to pay only Php150 per person. Migs and Kristel found the Tree Drop the most extreme activity here. Audee was most thrilled with the Superman Ride. I thought the Silver Surfer was the most terrifying.